Omnipresent logo outside the freeze dried coffee factory. Life informs art informs life. And media being a form of art, albeit an emotionally and economically charged one, life informs media informs life. And one particularly emotionally and economically charged form of media art is advertising, and thus life informs advertising informs life, and maybe to a degree much greater than we realize. The Juan Valdez ad campaign was particularly ingenious because it captured the humanity often glossed over by marketing. While the campaign didn’t show the more uncomfortable banalities of being a coffee farmer, it did put a representative face and a name to something for which consumers had no other face or name. But back here in the land of hundreds of thousands of real Juan Valdezes, these coffee growers already had their own faces and their own names. And the FNC and all its constant, visible marketing told them “you are Juan Valdez; Juan Valdez is you.” I’ve already said that Juan’s attributes are admirable and gave everyone a positive archetype to work towards. But Juan Valdez was created over 50 years ago. And he hasn’t changed. I said that it shocked me how “accurate” Juan Valdez was because I saw townfuls of people who looked just like him. But maybe he’s not an accurate representation of Colombian coffee growers; maybe Colombian coffee growers are an accurate representation of him. Something about the sincerity of his comment stuck with me. He was comparable to me in the sense that he and his family were not coffee farmers just as my family and I are not coffee farmers. We’re both coffee outsiders; but he’s an insider in that he’s Colombian, whereas I’m far from it. 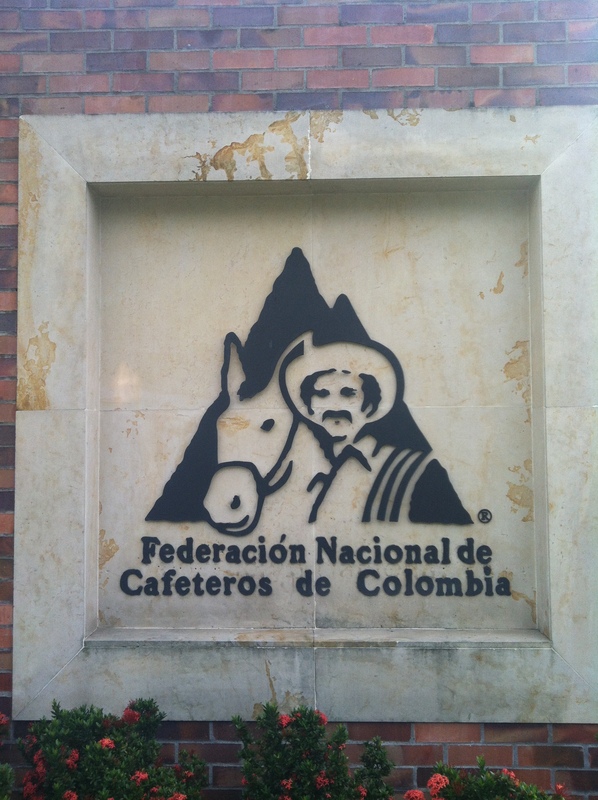 One of the goals of the FNC’s campaign was to make “Colombian” synonymous with coffee. Its curse for Colombians was that it worked. Juan Valdez was a very accurate portrayal of Colombian coffee farmers at the time the campaign was initiated. But right now he’s a very accurate representation of some coffee farmers, and maybe only of those because they’re imitating the art that imitated a former life. The current actor playing Juan Valdez does go to international red carpet events and was in Times Sq. to promote the new Colombian tourism billboard. But he still looks damn like a coffee grower from a generation gone by. This recent video on his blog about “How a Coffee Farmer Dresses” itemizes the “traditional” elements of caficultor garb. And there are some people who still dress like that. But by dressing to the “traditional” T, Juan’s missing a lot. Where is his Smartphone to check market prices? Where are the keys to his truck so he can haul all his coffee at once instead of making 10 trips with his mule? Where is his Syngerta hat he got free with his most recent purchase of the new broca treatment? Where is his monogrammed polo from the workshop he went to? Where is his to-go mug? I mentioned that it was refreshing to see that Juan didn’t sell out. But maybe by being overly determined not to sell out he got trapped somewhere in the past. And maybe he kept his constituents with him. Coffee growers who’ve moved beyond the poncho and the mule- and people outside the industry entirely- are frustrated with the antiquity of his image, some to the point of resentment. Juan might be close to crossing the line- or have already crossed, depending on whom you ask- between representative and caricature. Having a national icon is dicey ground, and you’ll always have people who feel all kinds of ways about it. Because only a few hours before the university student commented on coffee’s role in holding the country back, a mother of 7 and grandmother several times over showed me her scrapbook where she’d pasted Juan Valdez ads clipped from magazines in the US when she went to visit her daughter over a decade ago. Whether Juan Valdez and his coffee mean a good name for your country being disseminated to the world or an archaic stereotype preventing foreigners from understanding the complexly diverse advances of your homeland depends on who you ask.